After months of a volatile ride, the U.S. stock market is back on track with the S&P 500 extending its consecutive five-week rally. This is primarily thanks to a strong second-quarter earnings season and bouts of upbeat data that fueled optimism in the U.S. economy and offset the concerns over global trade. Total earnings from 82.7% of the index’s total market capitalization that have reported so far are up 25% from the same period last year on 10.4% higher revenues, with 80.1% of the companies beating EPS estimates and 73.8% surpassing revenue estimates. Earnings and revenue growth as well as the proportion of companies beating EPS estimates are tracking above other recent periods. If the earnings beat rate continues in the coming releases, it will be the highest on record, dating back to the first quarter of 1994, according to Thomson Reuters. Per Factset, the S&P 500 earnings beat is on pace to be the highest beat rate since it began tracking the metric in 2008. Overall, Q2 earnings and revenues are expected to grow 23.9% and 9.3%, respectively, representing the third quarter in a row of double-digit earnings growth for the index, a trend that is expected to continue in the second half of the year as well. The American economy has been on a solid growth path with GDP growth expanding 4.1% annually in the second quarter, representing the fastest pace of growth in nearly four years. The number is almost double the revised Q1 growth rate of 2.2%. With this, GDP grew 3.1% for the first half of the year and is poised to hit 3% annual growth for this year buoyed by historic tax cuts, infrastructure investment, higher government spending, deregulation, rising wages and record unemployment. Per Trump, “the United States is on track to hit the highest annual growth rate in over 13 years”. Further, an impressive labor market, increase in wages, rise in consumer confidence and higher consumer spending are driving the economic activities higher. A rising rate scenario is also signaling a strengthening economy, which will spur further growth in the stock market. Moreover, the CBOE Volatility index, also known as fear gauge, fell to the lowest level since Jan. 16 at 10.52. This indicates strong complacency in the market and that fears levels are running very low. Given the bullish fundamentals, the S&P 500 is on the verge of hitting new highs anytime soon. At Aug 7 close, the benchmark was just 0.5% away from touching the peak it set on Jan 26. This ETF offers 1.25 times (1.25x) exposure to the index and is the cheapest choice in the large-cap leveraged space, charging just 37 bps in annual fees. It has accumulated $81.9 million in its asset base, while trades in a moderate volume of 71,000 shares a day on average. The fund has added 3.2% over the past one month. This is the most popular and liquid ETF in the leveraged space with AUM of $2.6 billion and average daily volume of around 2.5 million shares. 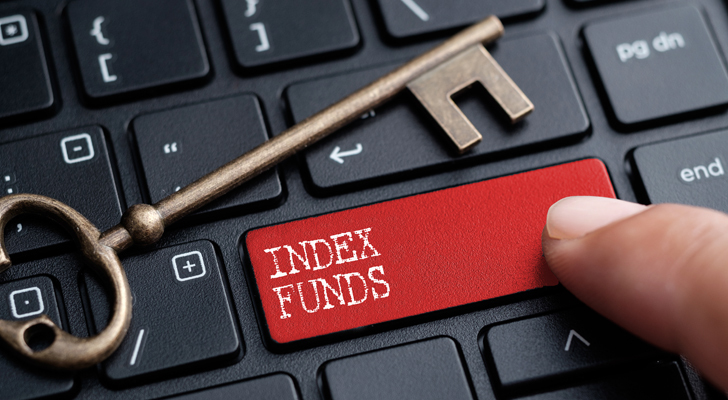 The fund seeks to deliver two times (2x) the return of the index, charging investors 0.90% in expense ratio. It has gained 4.6% in a month. While this product also provides 2x exposure to the index, it charges a lower fee of 60 bps. It has a lower level of $7.4 million in AUM and sees a lower volume of about 9,000 shares a day on average. SPUU has returned 4.9% in a month. This fund provides three times (3x) exposure to the index with an expense ratio of 0.95%. Average trading volume is solid, exchanging nearly 5.7 million shares per day on average. It has amassed $1.4 billion in its asset base and is up 6.7% in a month. Like UPRO, this fund also creates 3x long position in the S&P 500 index with the same expense ratio. It has AUM of $930.7 million and trades in average daily volume of nearly 5.2 million shares. SPXL has gained 6.9% in a month. As a caveat, investors should note that these products are extremely volatile and suitable only for short-term traders. Additionally, the daily rebalancing, when combined with leverage, may make these products deviate significantly from the expected long-term performance figures. Still, for ETF investors who are bullish on the near term, either of the above products can be an interesting choice. Clearly, a near-term long could be intriguing for those with high-risk tolerance, and a belief that the trend is the friend in this corner of the investing world. Article printed from InvestorPlace Media, https://investorplace.com/2018/08/sp-500-new-records-ride-high-etf-ggsyn/.